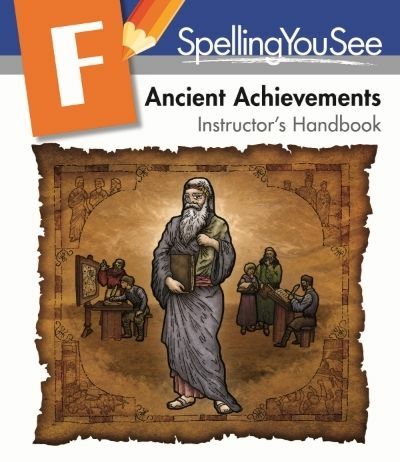 We reviewed one of the newest two levels of Spelling You See: Ancient Achievements (Level F) and received Student Workbooks Parts 1 and 2, the Instructor's Handbook, and a brand new set of erasable colored pencils. 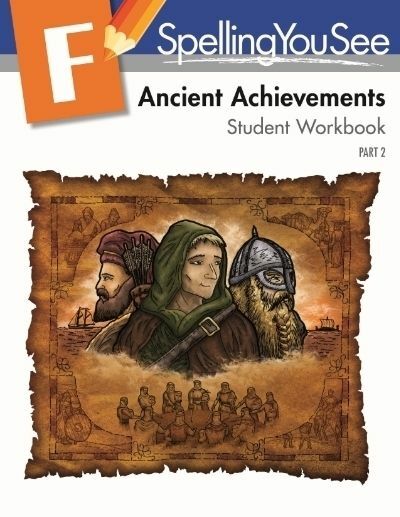 We first tried this curriculum last spring when my son worked through Wild Tales (Level C.) This time, the copywork and chunking expectations were already familiar to him, so even though it was a much more advanced workbook he was able to complete it more easily. For those of you brand new to Spelling You See, I'll explain in more detail how and what it covers. The concept is that by teaching word patterns in a developmental sequence, students can learn more effectively than memorizing lists. My son has continued to be more receptive to this format than memorization of words in a list. "Chunking" (pictured below) is an integral part of the alternative method requiring students to identify and highlight vowel and consonant chunks, the "bossy r", and endings. The student completes copy work looking at a selected passage, then progresses to writing each passage from dictation without looking at the printed sample. 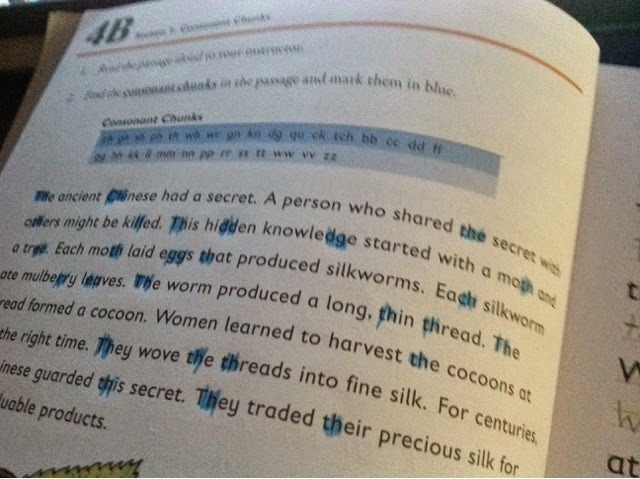 Each time they write, they also highlight the chunks which makes them more aware of the sounds in the words. The small instructor's guide has tips for each lesson as well as all of the chunking answers. One of the tips is to just spend about 10 minutes per day on copy work or dictation to keep it from getting stressful for the student. Occasionally my son gets distracted and the lesson takes a little longer to complete, but when he is focused on the task ten minutes is just about all the time he needs. 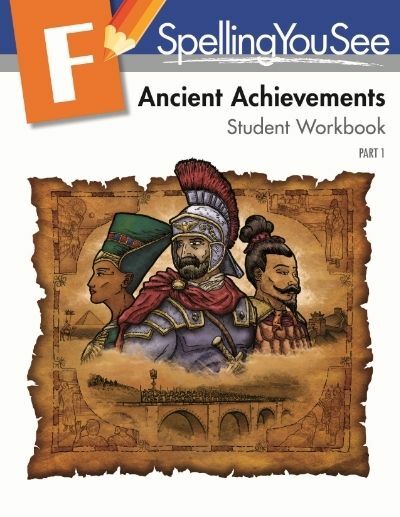 The Ancient Achievements workbooks share passages about ancient history in a modern story format. The first passage is about teenagers exploring an ancient cave. Other passages share details about ancient people, artifacts, places, or events. 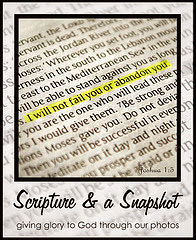 Each lesson covers just two pages, and each passage is repeated over several days. Lines provided for copywork are much smaller than what he used in the earlier level, and passages are longer. Colorful illustrations enhance each lesson. 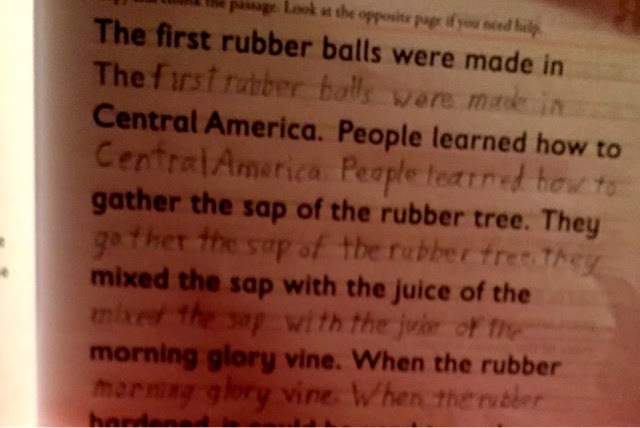 The above sample from my son's workbook shows a page he has copied but not yet completed as the chunking isn't done. It is a full page of writing, and I'm happy to see my son writing with more speed and less reluctance. He enjoyed sharing what he learned from the passages, too, which was a benefit beyond spelling. He shared with all of us the details about rubber from the rubber tree. He has now completed about 3/4 of part one but hasn't yet started the second one. Both workbooks are 183 pages long. Part 2 follows the same format. I think my son will enjoy the pages about Timbuktu and then Sir Author and the Knights of the Round Table in the second workbook. Samples of each level are available on their website. For this review, others reviewed this as well as level g. Click the banner below to read other Schoolhouse Crew reviews of Spelling You See.